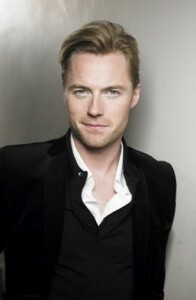 Irish singer and Boyzone frontman Ronan Keating has added to his list of forthcoming Australian concert dates. With Tina Arena in the support role, Ronan will now play two extra shows – a second at the Sydney Entertainment Centre and a new show at the Cairns Convention Centre. The new additions take to eleven the number of live dates Ronan will perform on his first Aussie tour in eight years. Tickets for the new dates are on sale on Monday.